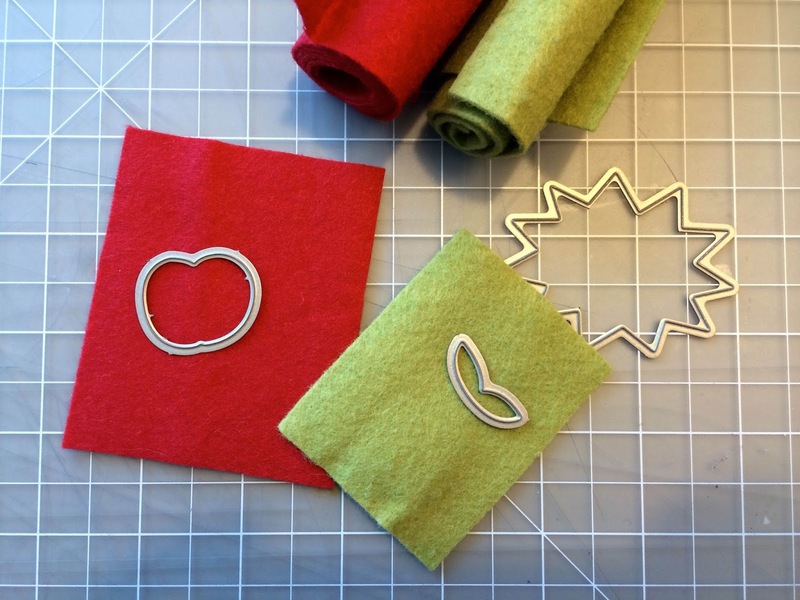 Today I have a little tutorial showing you how to use craft dies and wool felt to make fun little embellishments for your projects. 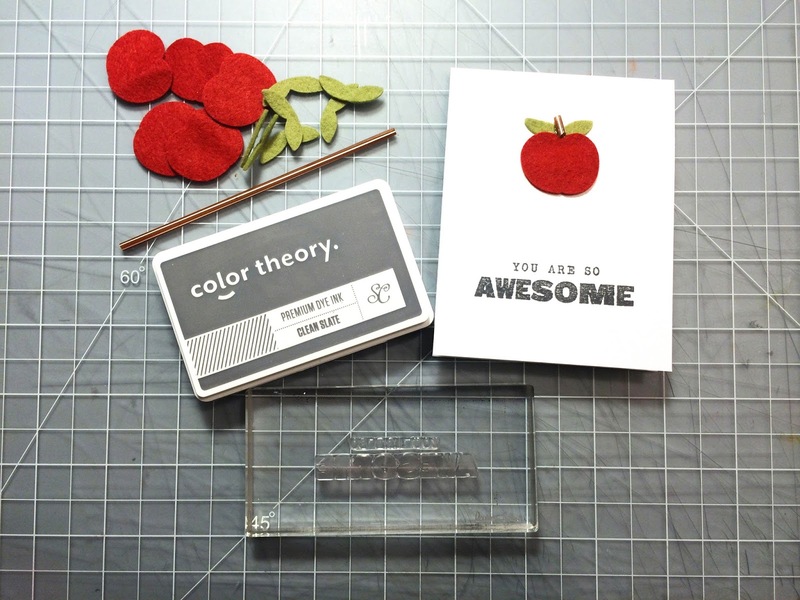 I made three quick and simple mini cards using these little felt apples. 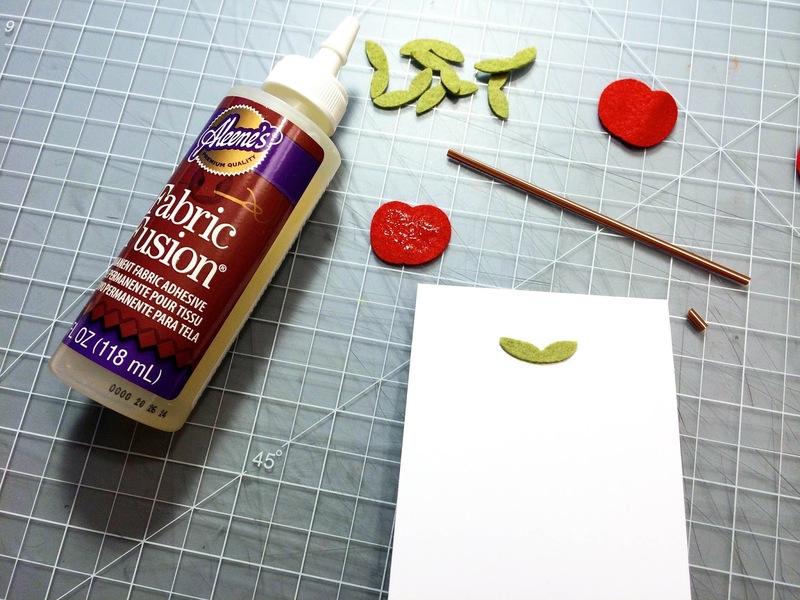 I used the Fruit Punch craft dies from Studio Calico. 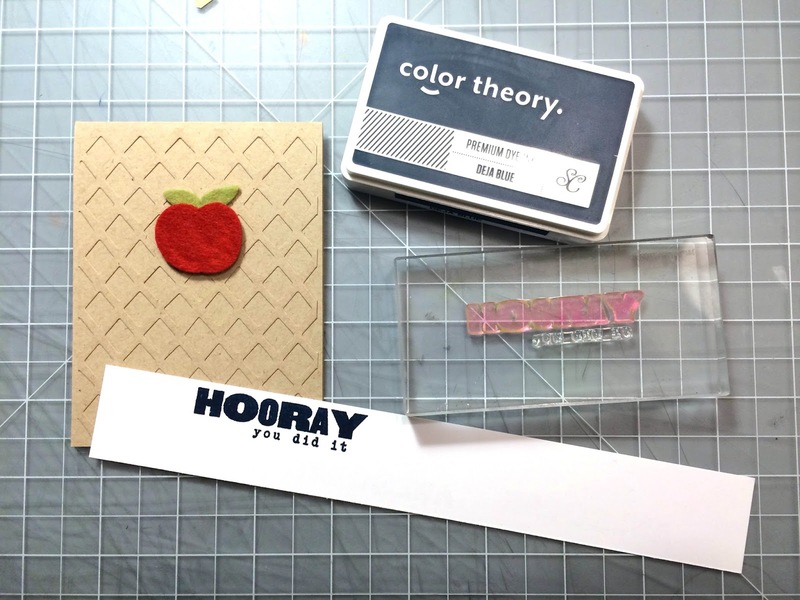 These dies are designed to match stamps but they can be use on their own because of their basic shapes. First gather the dies and felt colors you want to use. 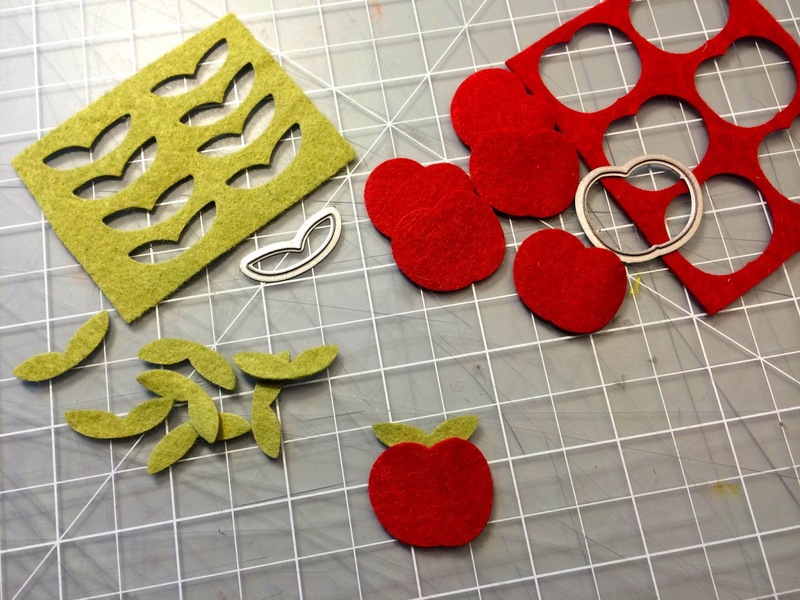 Wool fleet works best for die cutting, it cuts cleanly unlike acrylic felt. 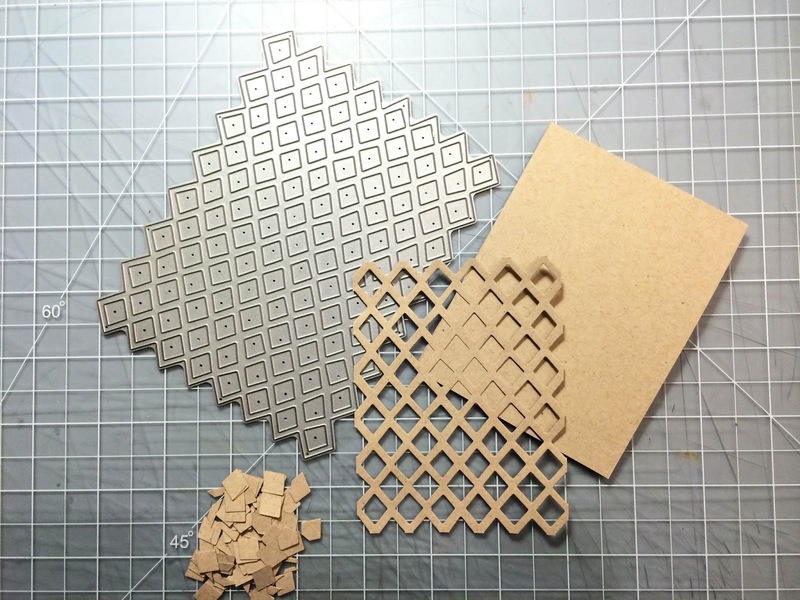 If you are making multiple cards go ahead and cut all your shapes a once, you can always keep the extra pieces for future projects. 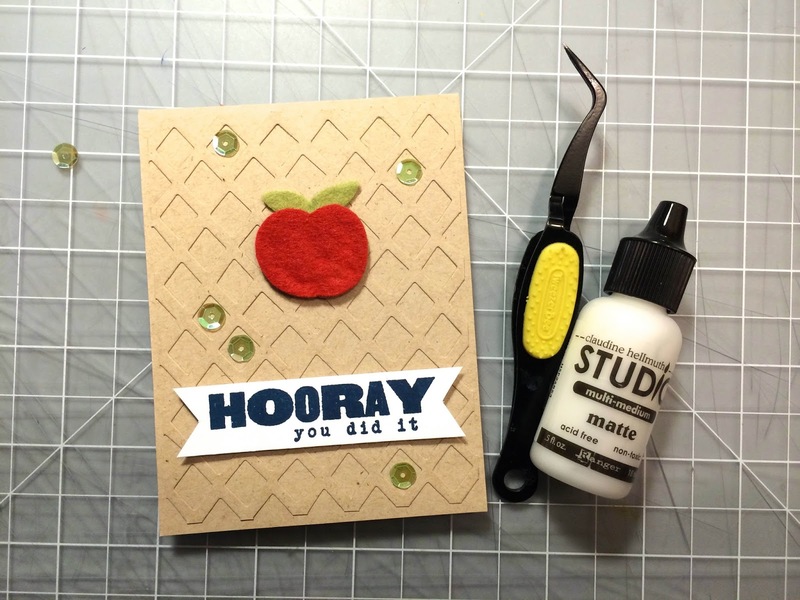 Any type of glue can be used to glue the felt pieces onto the cards. I used both a fabric glue and a paper glue. I also used brown Pixies stick from Doodlebug to create a little stem, but a brown coffee stirrer would work as well. After placing the felt embellishment I stamped the sentiment using Clean Slate Color Theory Ink. The sentiment stamps are from the Bluegrass Farm Card Kit as Studio Calico. 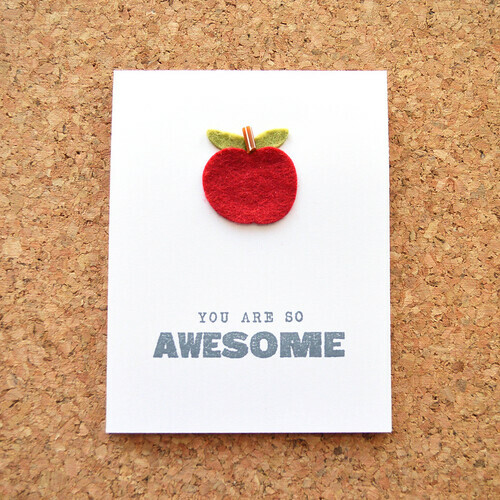 For another card I die cut the Wonky Diamond Background in the same kraft card stock as the card base. By adhering the same color die cut on the card base it creates the illusion that the background is embossed. 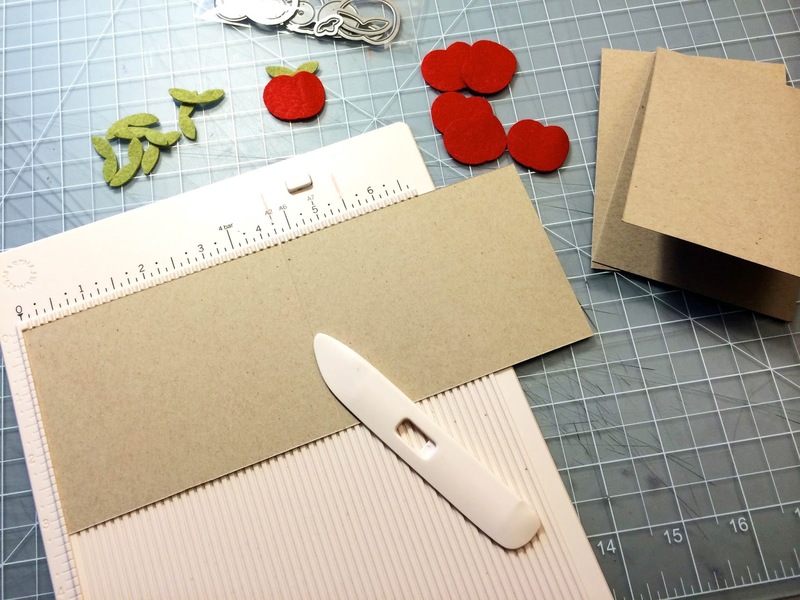 Another way of adhering the felt embellishment is to die cut card stock in the same shapes and then glue the felt to the matching card stock shape. This gives the felt more structure. This is what I did on this second card so I could adhere it down with foam adhesive for more dimension. I stamped the sentiment in Deja Blue Color Theory ink on white card stock, then I cut it down into a banner shape. The sentiment stamps are from the Bluegrass Farm Card Kit as Studio Calico. For a little extra embellishment on this second card I added some Yes Peas Green Sequins using Multi Matte Medium and tweezers to place them. For a third idea I added some Well Red sequins to the apple with some white thread and cut down one of the felt leaves to embellish the sentiment a bit. 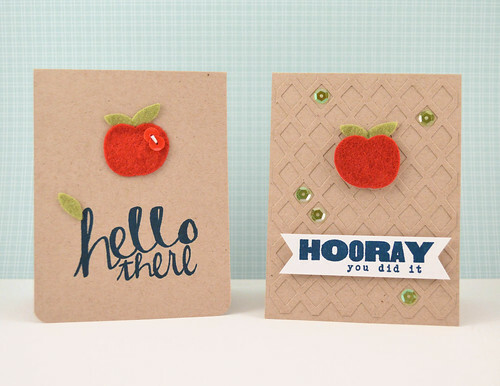 These quick cards are easy to make and great to have on hand for everyday occasions. They would also make a cute set of matching cards to give as a gift. Adorable!! Thanks for a darling idea! !